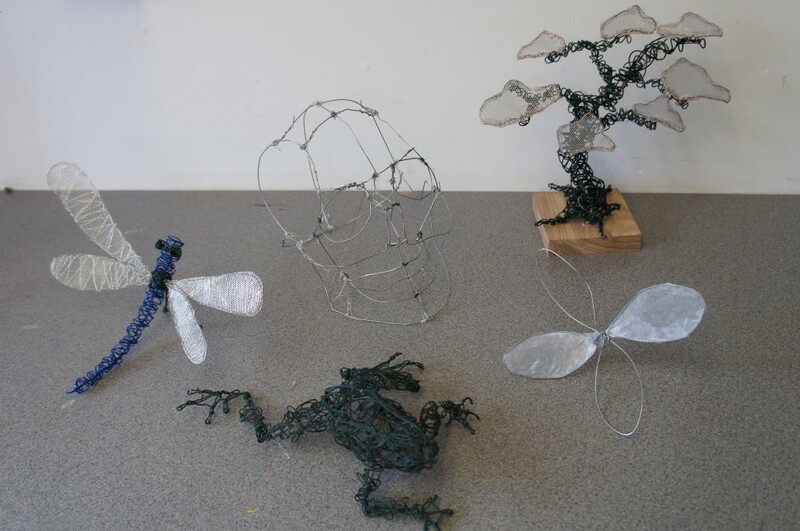 Experimenting with wire, clay and plaster to create 3D forms. 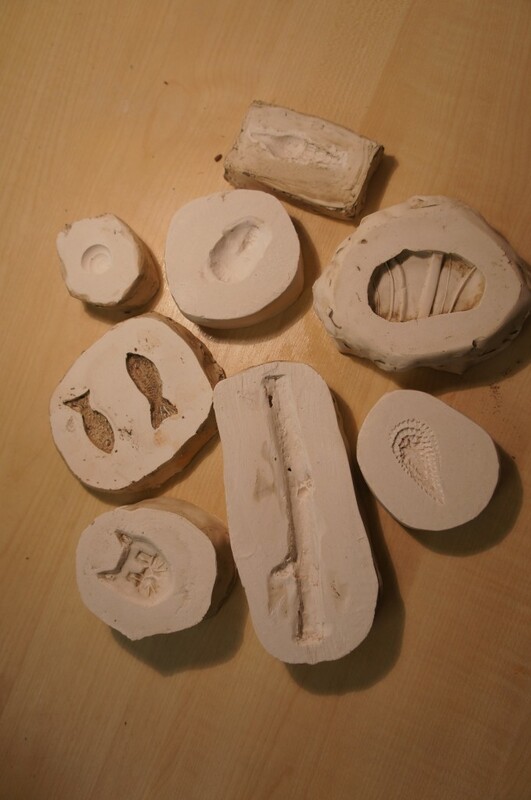 These skills will be linked with other artists’ work during class discussion. 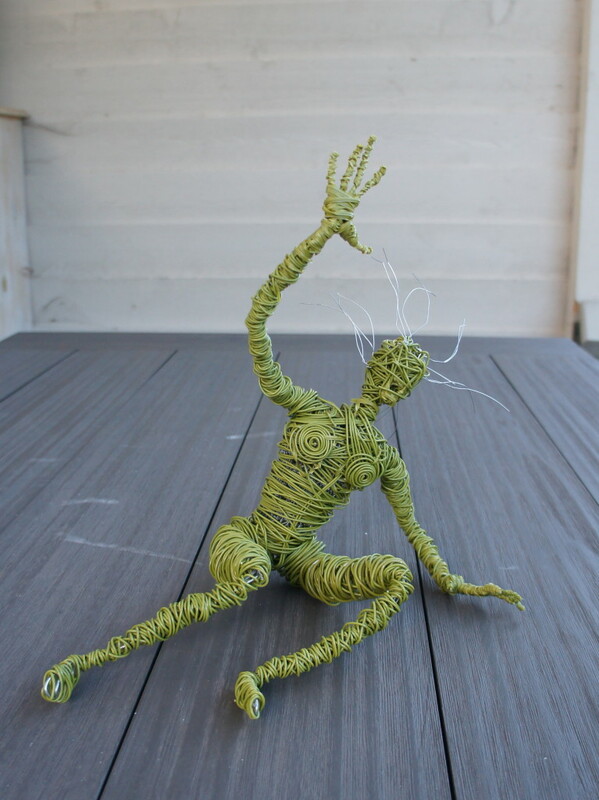 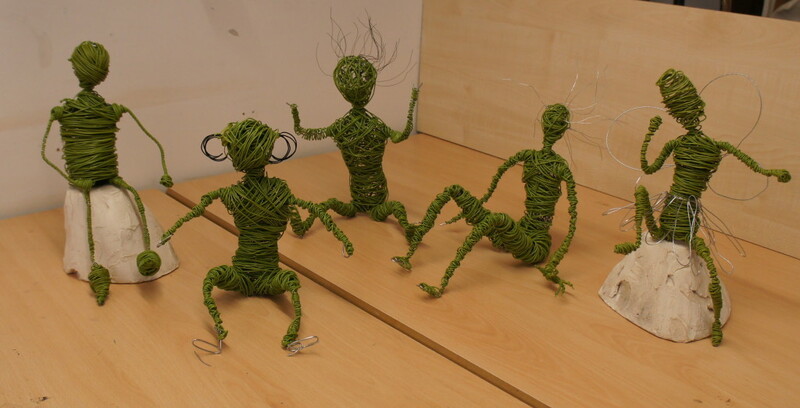 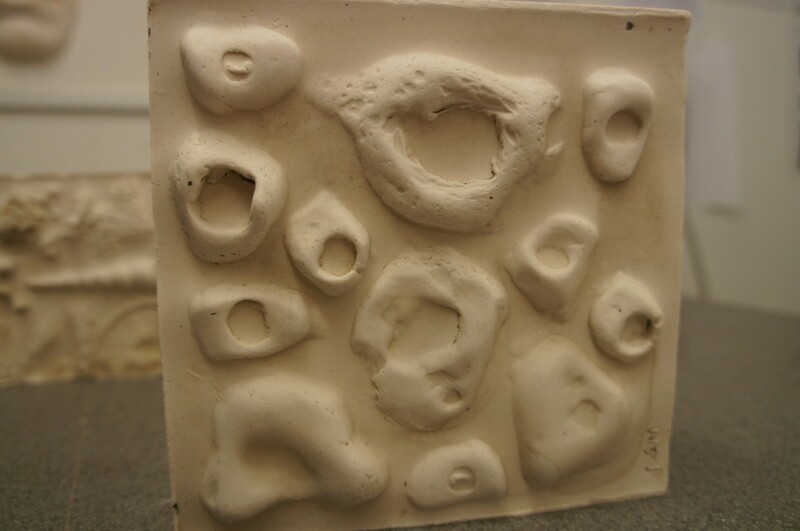 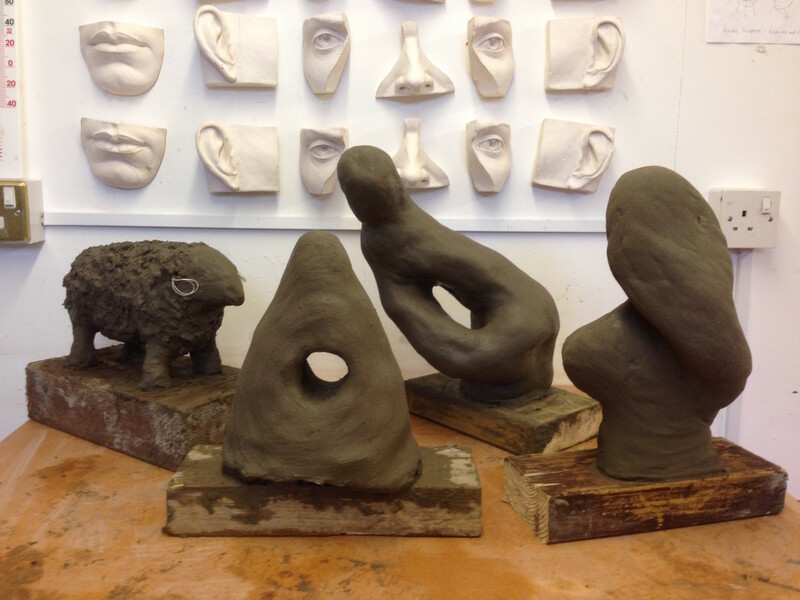 The course may follow a theme which will be developed with the sculptural techniques over the weeks, to create pieces of work that convey individual ideas and concepts. 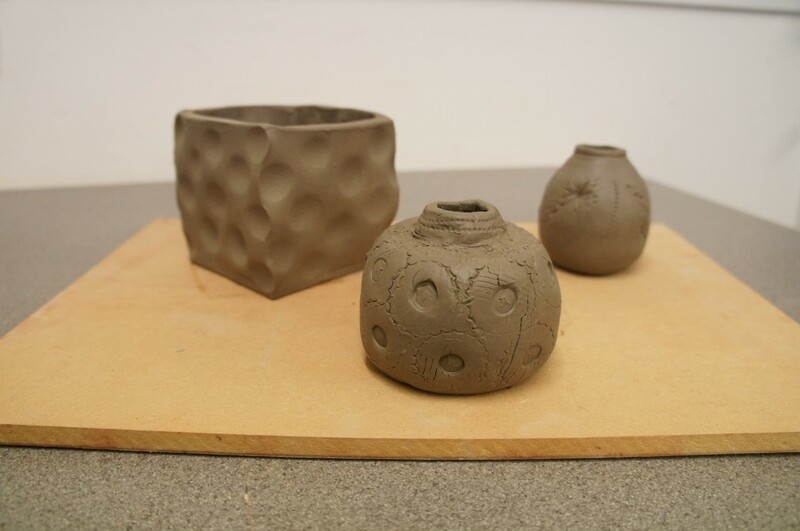 Ideal for a portfolio project. 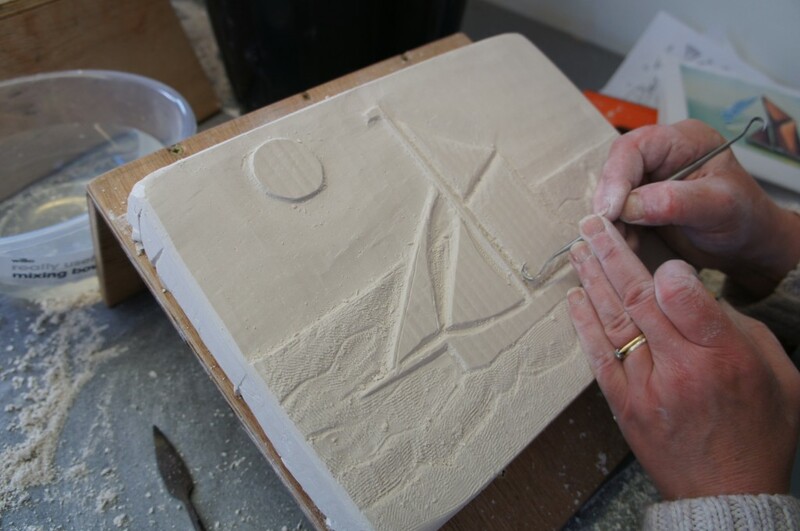 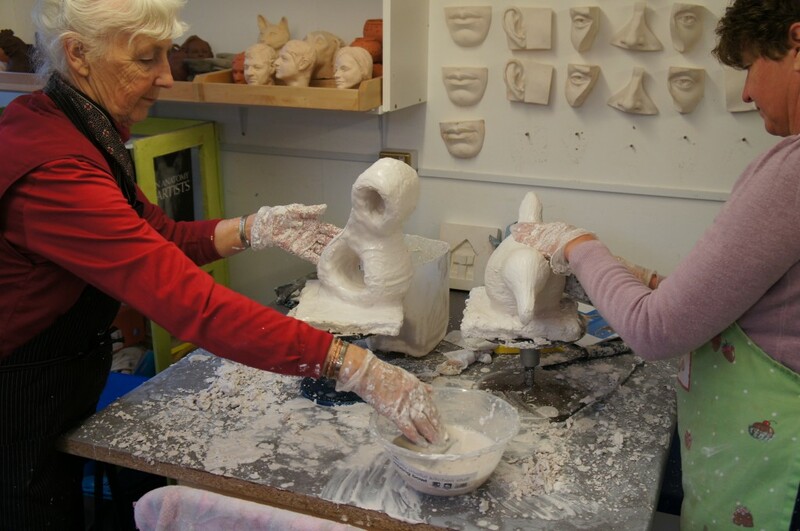 Aimed at beginners and experienced artists who want to develop a sculptural approach to their work. 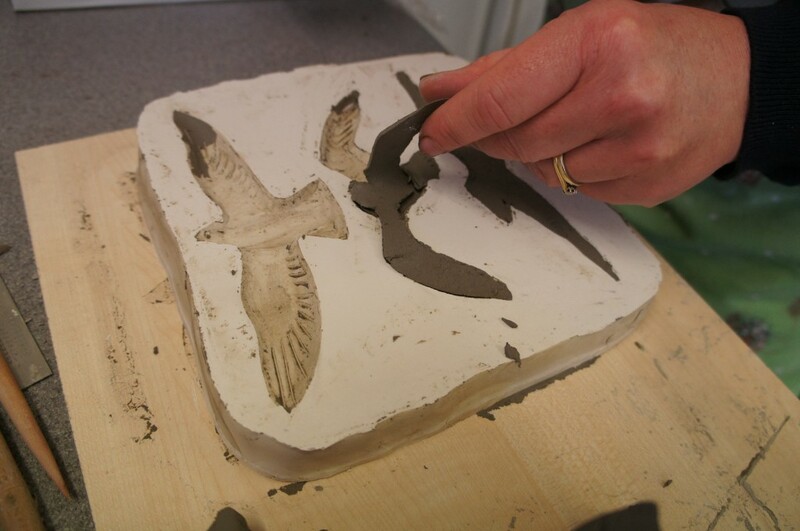 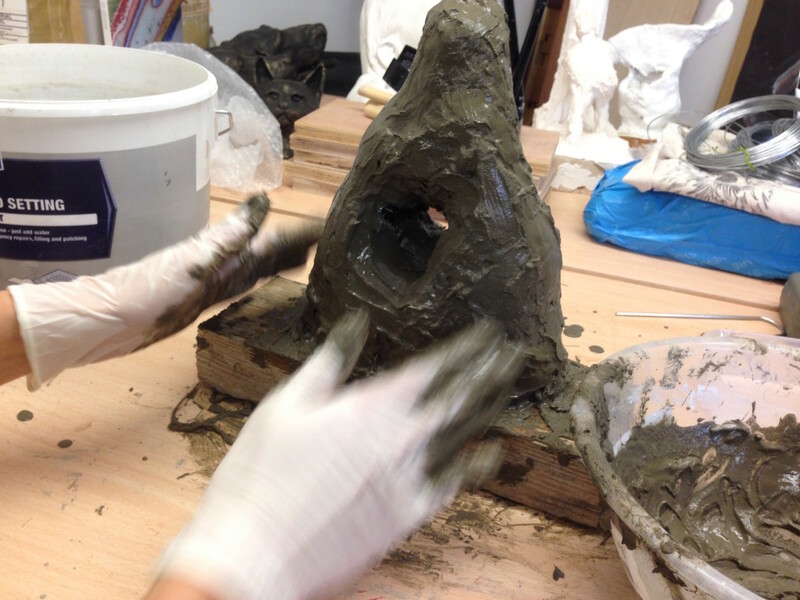 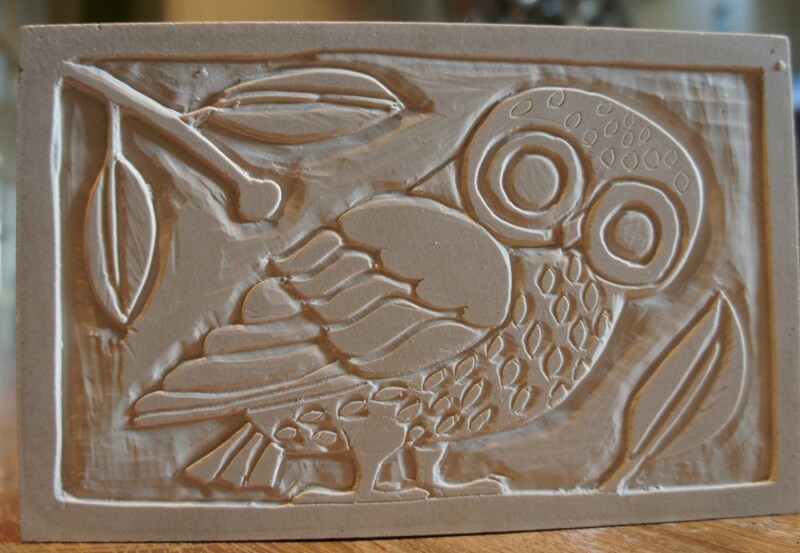 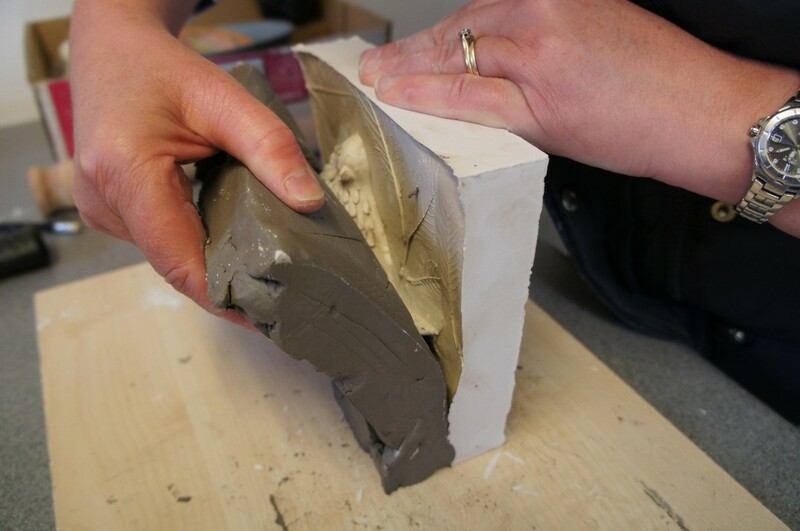 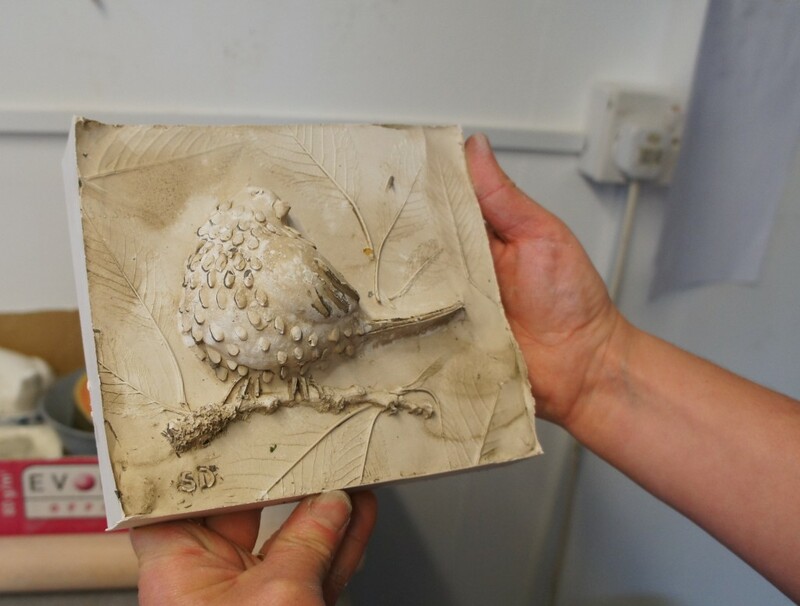 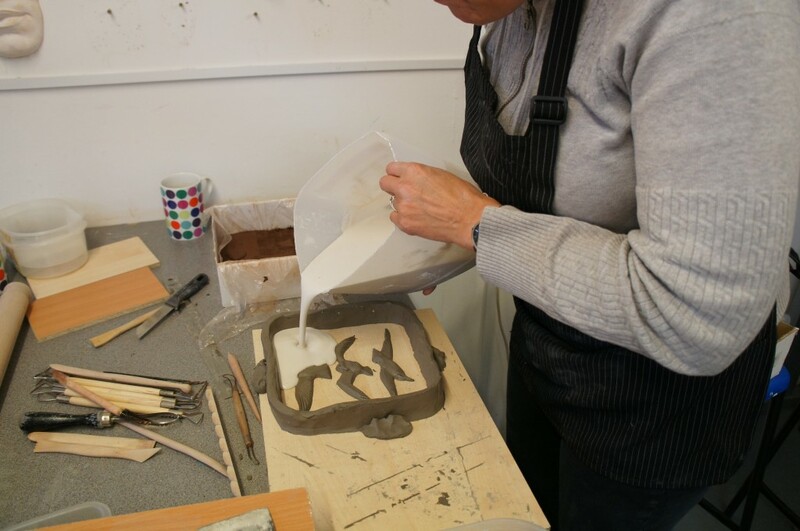 Removing the clay press mould from the plaster relief. 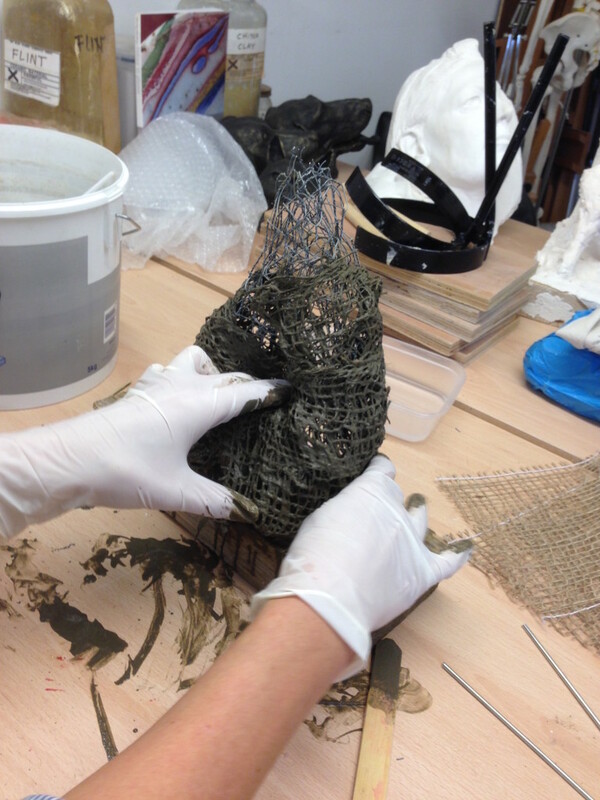 Direct Modelling, applying plaster to the wire armature and getting very messy!